Members of Monkstown Social Club's Come Dancing Club who presented a cheque for �460 to the NI Hospice., 1997. 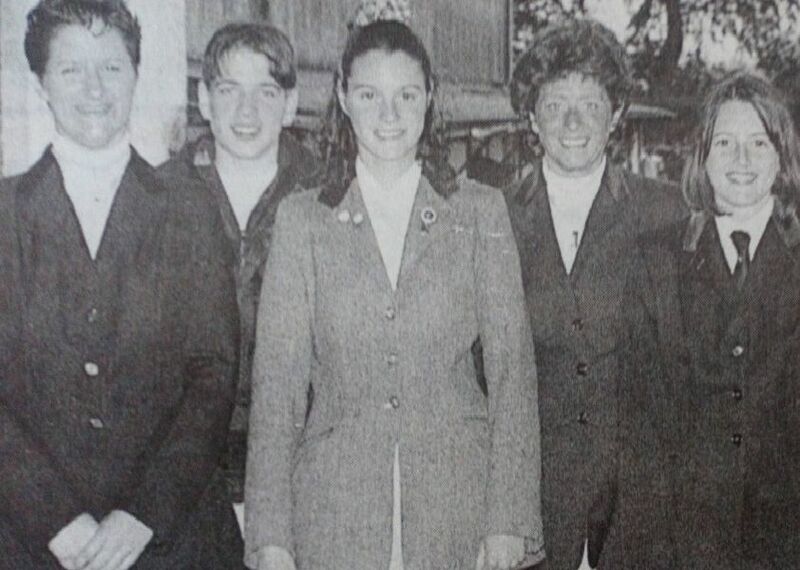 Competitors in the YFCU Home Management Final pictured with judges, Included is: Pamela Duddy and Leanne Weatherup (Ballycraigy YFC), 1997. Ken McFaul and Newtownabbey Mayor Edward Crilly with pupils from BRA, Belfast High, Glengormley High and Dominican College who are going to Arlington, Texas, as part of a cross-community project. 1997. Dame Jane Gow visited Cedar Lodge School where she was greeted by the principal Zoe Vallely and representatives of EDCO, BOC and Belfast Education Board.